By studying fiction, I’ve learned that a good story is built around conflict. However, a good life is built around peace. Victoria Hanley spent years preparing for a writing career by holding as many contrasting jobs as possible, from baking bread to teaching anatomy and hosting radio shows. She’s lived in California, Massachusetts, Wisconsin, New Mexico, Oregon, and Colorado, and traveled throughout North America via plane, train, bus, car, and bicycle. Who knew she’d be the author of 7 books published in 12 languages! Victoria’s novels have won many honors and awards at home and abroad, and inspired two nonfiction writing books: Seize the Story: A Handbook for Teens Who Like to Write, and Wild Ink: Success Secrets to Writing and Publishing in the Young Adult Market. 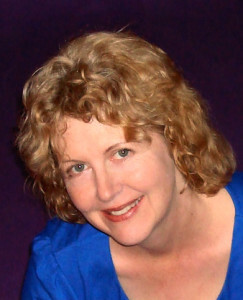 She teaches writing at Lighthouse Writers Workshop in Denver and at Northern Colorado Writers in Fort Collins. Victoria Hanley offers free writing tips for writers for peace (or any other kind of writer) in our blog twice per month. We’ll post them here after they go out in our blog, so you can always come back to them later. (released May 1, 2012) — Would you love to write the next young adult (YA) novel? Wild Ink is packed with examples on how to turn your own ideas into riveting stories. Dozens of interviews with writers, editors, and agents provide an inspirational view of what’s happening in the industry and advice on how to finish a book and get published. Includes a chapter on writing nonfiction YA. Bryn, a simple stonecutter’s daughter, sees visions but has no idea they are true until she is taken to the Temple of the Oracle, where she must confront corruption and danger from those who want to steal her mind.